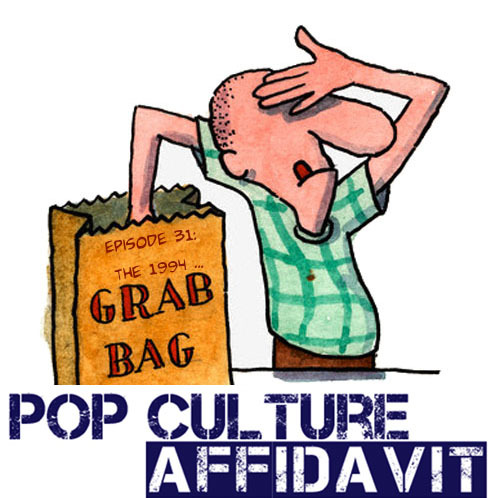 Pop Culture Affidavit, Episode 31 — The 1994 Grab Bag! What do Beverly Hills, 90210, the 1994 Baseball Strike, and Zima all have in common? They’re all covered in the latest episode of Pop Culture Affidavit! As part of my series of posts and episodes called 1994: The Most Important Year of the Nineties, I take a look at ten completely random things from 1994. It’s movies, television, music, and current events all in one convenient episode! Here’s some clips and commercials for what’s covered in the Grab Bag!